Tuesday, June 20 from 4pm to 7 pm UN's World Refugee Day is marked at Kunsthal Charlottenborg with the inauguration of Ai Weiwei's facade installation and an event with speeches by, among others, Former chairman of the UN General Assembly Mogens Lykketoft, Secretary General of Red Barnet, Jonas Keiding Lindholm, spokeswoman for UNHCR in Denmark, Elisabeth Arnsdorf Haslund, and Syrian refugee Rafat Al Hamoud, who has founded House of Humanity. Under the title ”World Refugee Day at Kunsthal Charlottenborg”, the art centre marks the World Refugee Day with the inauguration of the internationally renowed artist Ai Weiwei’s new installation on the facade of Kunsthal Charlottenborg and an event that focuses on the refugee crisis in Europe. The invited representatives of the relief organizations are invited to a public debate in the courtyard of the art centre next to Nyhavn. At the event there will also be food by chefs from Syria, Afghanistan and Iraq in collaboration with Apollo Bar, as well as music by the NGO Turning Tables, who gives young refugees the opportunity to create music and art. In addition, Charlottenborg Art Cinema will screen the documentary My Escape by The Why Foundation, depicting the flight of two young boys from Syria to Europe. 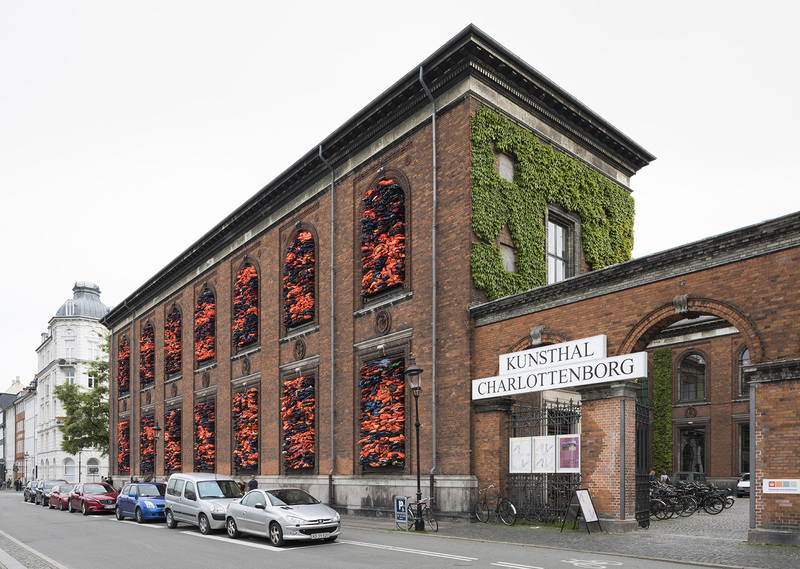 One of the most respected living artists in the world today, Chinese Ai Weiwei (born 1957 in Beijing) has created an installation specifically for the facade of Kunsthal Charlottenborg and Copenhagen. The work, titled Soleil Levant, consists of a barricade of the windows of the art centre facing Nyhavn with more than 3500 salvaged life jackets collected from refugees arriving at the Greek island of Lesbos. With this installation, Ai Weiwei hopes to bring focus on the refugee crisis currently taking place at the coasts of Europe every day. According to UNHCR, 1.377.349 individuals arrived in Europe via sea in 2015 and 2016. In the same period, more than 8000 individuals have died or disappeared attempting this journey. It is this wide-spread humanitarian crisis, which Ai Weiwei hopes to bring focus on with the installation at Kunsthal Charlottenborg. Read more about the installation.